Assimilating ain't easy. Eddie Huang was raised by a wild family of FOB ("fresh off the boat") immigrants—his father a cocksure restaurateur with a dark past back in Taiwan, his mother a fierce protector and constant threat. Young Eddie tried his hand at everything mainstream America threw his way, from white Jesus to macaroni and cheese, but finally found his home as leader of a rainbow coalition of lost boys up to no good: skate punks, dealers, hip-hop junkies, and sneaker freaks. This is the story of a Chinese-American kid in a could-be-anywhere cul-de-sac blazing his way through America's deviant subcultures, trying to find himself, ten thousand miles from his legacy and anchored only by his conflicted love for his family and his passion for food. 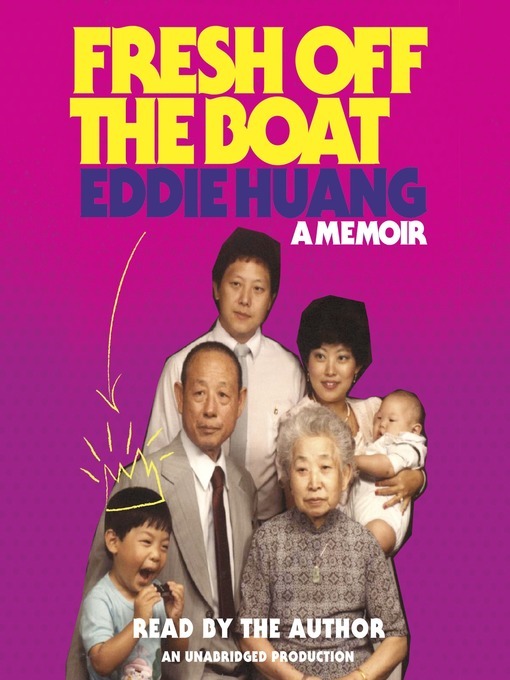 Funny, moving, and stylistically inventive, Fresh Off the Boat is more than a radical reimagining of the immigrant memoir—it's the exhilarating story of every American outsider who finds his destiny in the margins.